I feel a little nostalgic today so I’m reposting one of my old entries about my great granddad. I found out that my great-grandfather, Julio Lauriaga, was part of the first wave of Filipino immigrants to Hawaii. It was in 2015 when I found a Facebook page (unfortunately it was no longer available) which helps one find his relatives who may have worked in Hawaii in 1900s. My grandmother, Dolores Lauriaga Lavadia (1916-2000). She was Julio Lauriaga’s second child. According to stories, my maternal great-grandfather, who originated from San Miguel, Bulacan, was a stowaway. He reportedly boarded a ship bound for Hawaii. He later married a native Hawaiian woman and bore four children. My great-grandfather supported his family by working as supervisor at a vast pineapple plantation. They said he was a hardworking man. He would supervise the plantation every morning. My great-grandfather thought he would stay in Hawaii for the better. But he met an accident that left him badly injured. From the said FB page, I found Filipino Worker #102 named Julio Lauriaga – My great-grandfather. I clicked on the FB link to verify if there are records to prove that my great-grandfather has worked in Hawaii. I visited the site and searched the old man’s name. His name was on the list indeed..
Side note: My maternal grandmother and her siblings would have qualified for US citizenship if their relatives have successfully located any surviving relatives and documents that could prove they were born in Hawaii between 1910 to 1920. 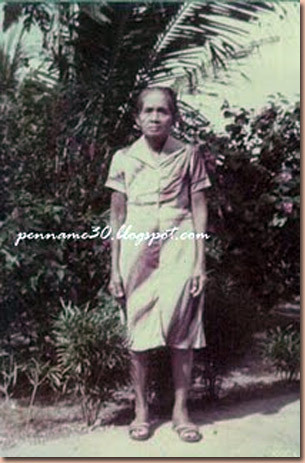 This entry was posted in Family, Personal and tagged family, family history, family tree, Filipino migration in Hawaii, Filipino plantation workers, generation on April 2, 2019 by Yami.